Sturdy iron, not easy to rust. Can also be used for kitchen toilet paper rolls. 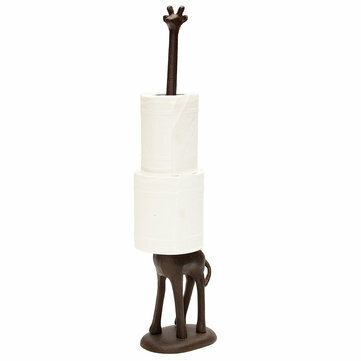 Longneck giraffe holds paper towels for you. Great for any bathroom, looks good in any bathroom. Can hold up to 2 toilet rolls or one roll of kitchen paper towel.